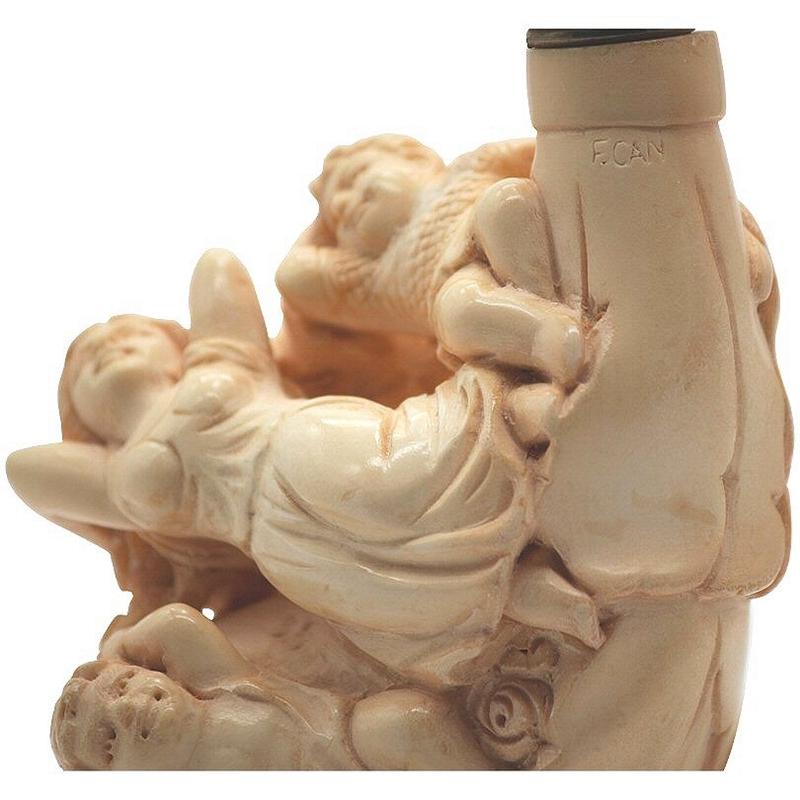 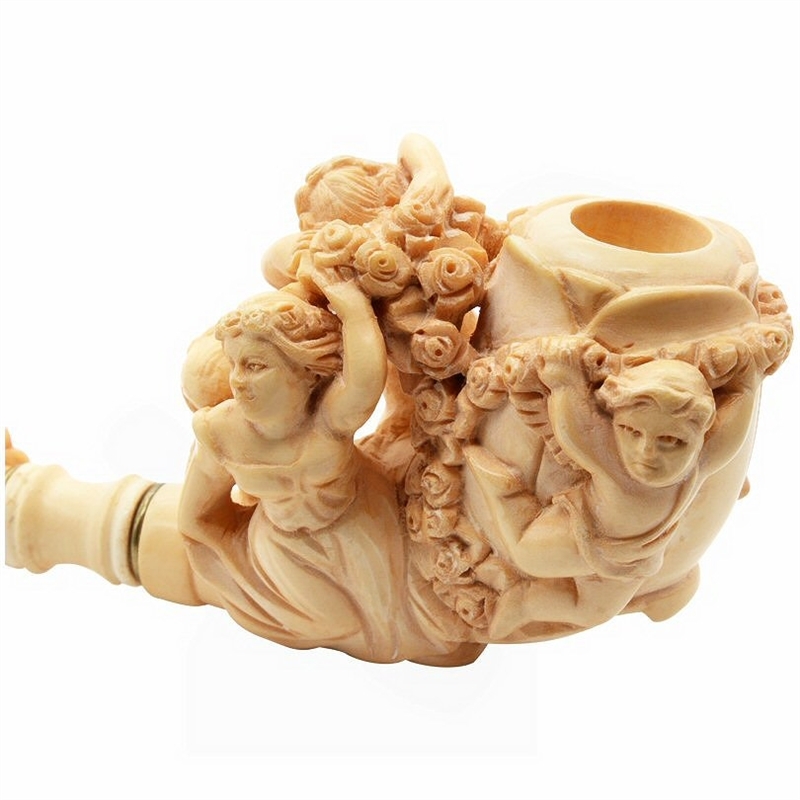 Hand Carved Signed F. Can Angels and Maidens Meerschaum Pipe - Very rare pipe signed by Master Carver F. Can is a spectacular piece of creative art. 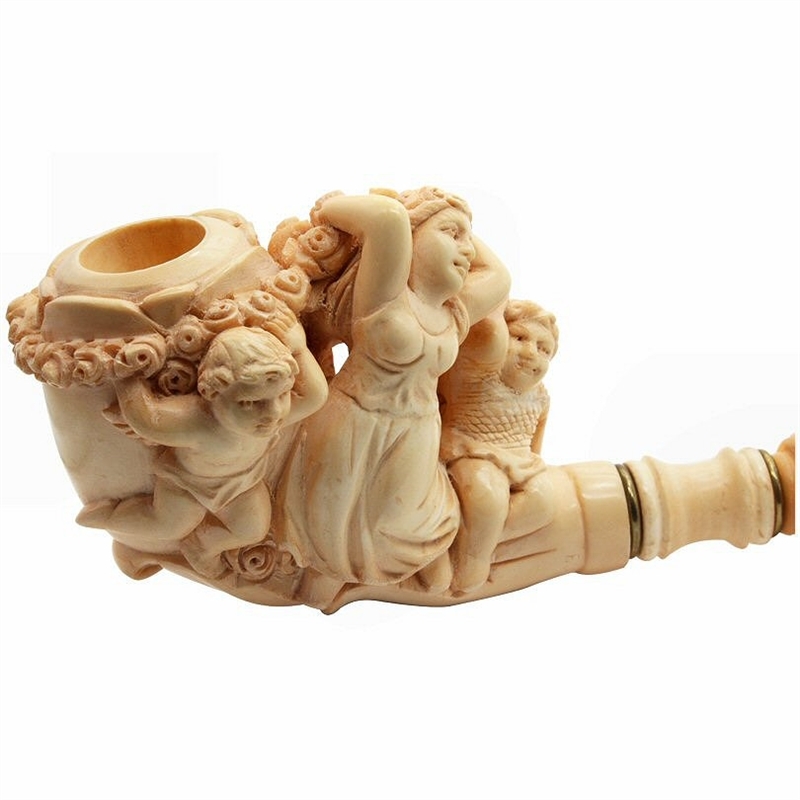 The pipe bowl is carved as a tulip with winged angels and maidens carrying a garland of rose buds adorning the bowl and shaft. 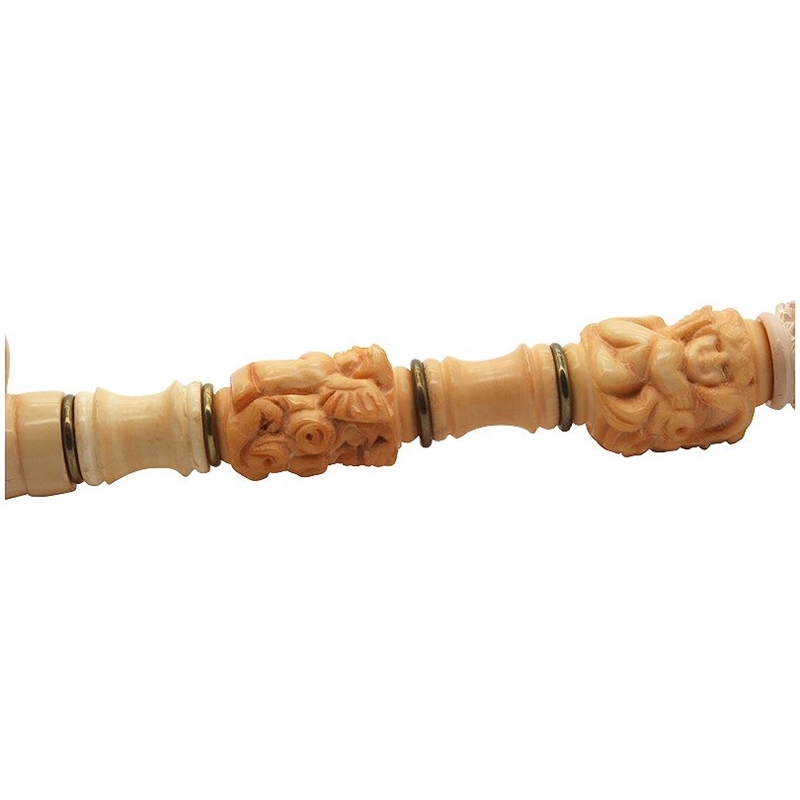 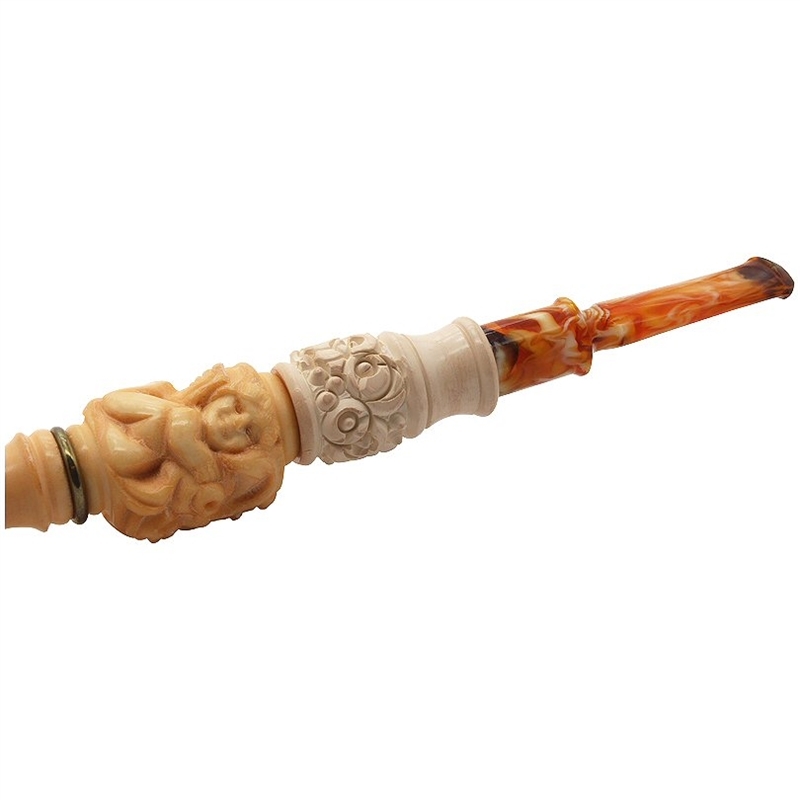 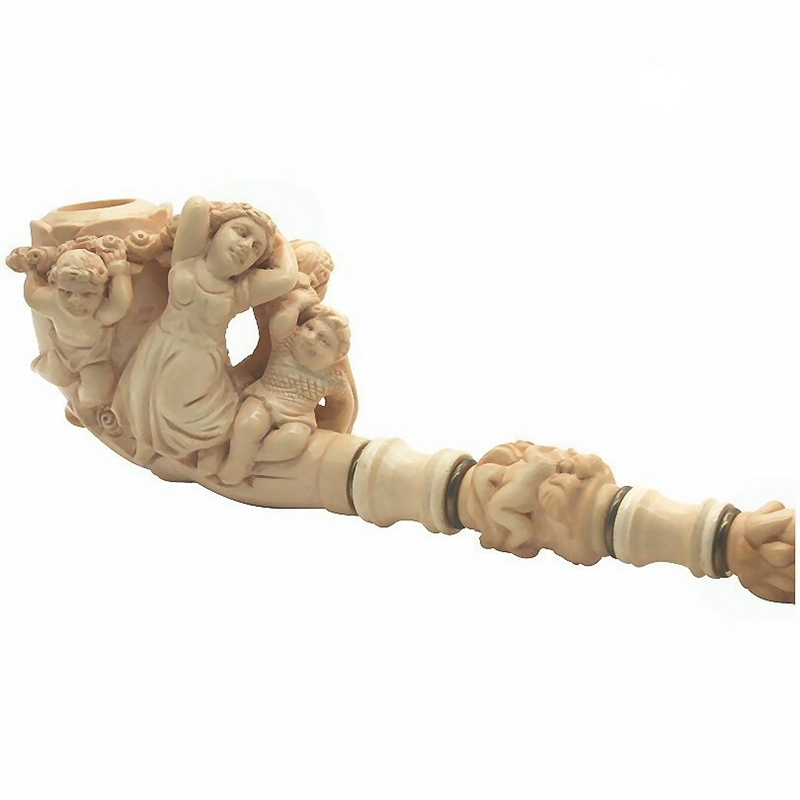 The saxophone straight style pipe is made with alternating smooth and angel carved knurls. 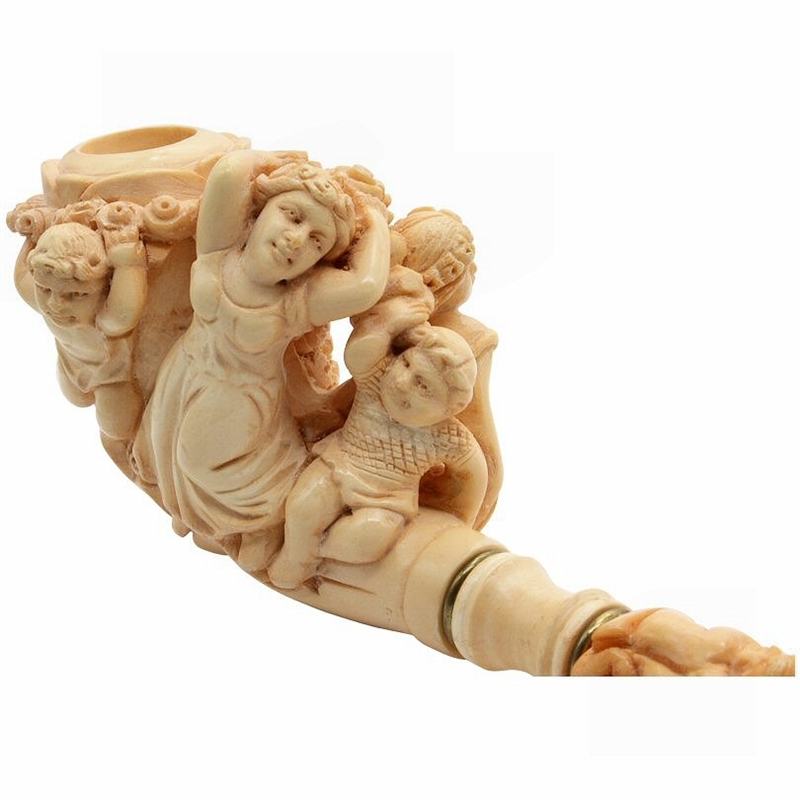 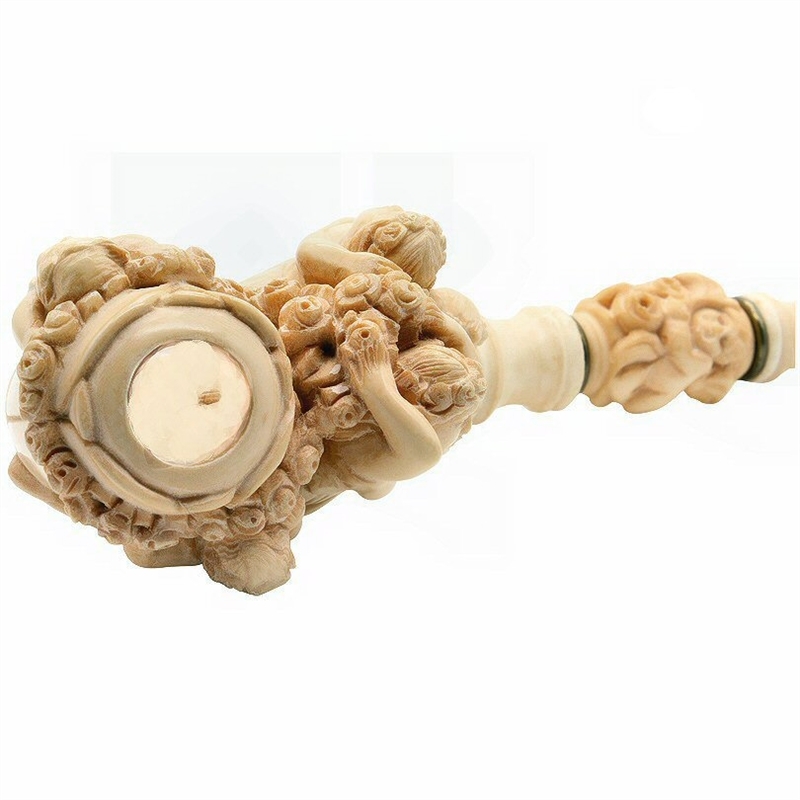 We believe this exquisite pipe was carved in the late 1980's. 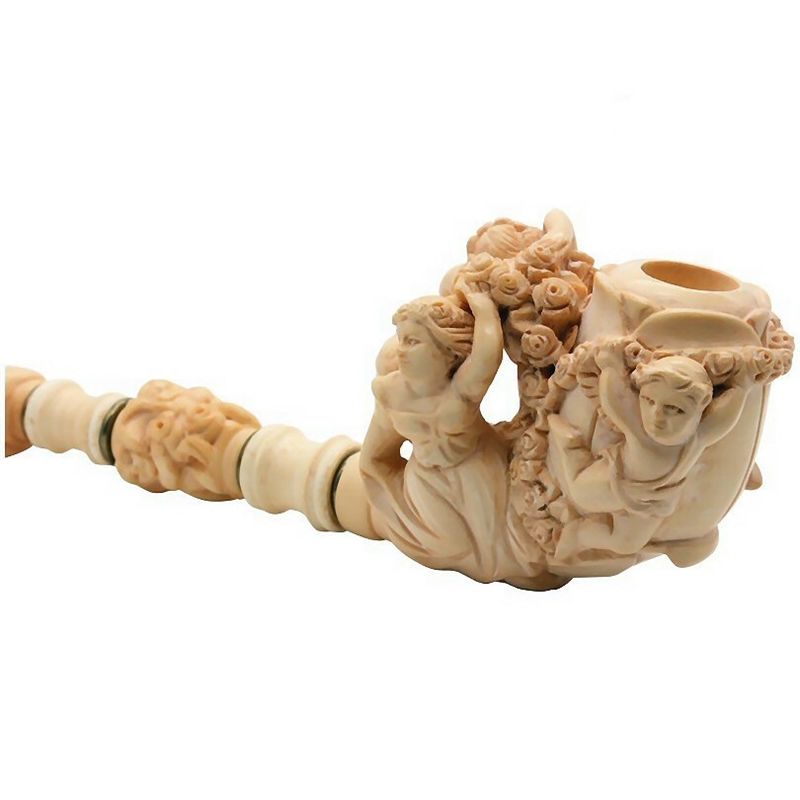 At one time it was used as a showpiece on display in a tobacco shop and over the years it absorbed the natural coloring of this environment giving the pipe an antiqued look. 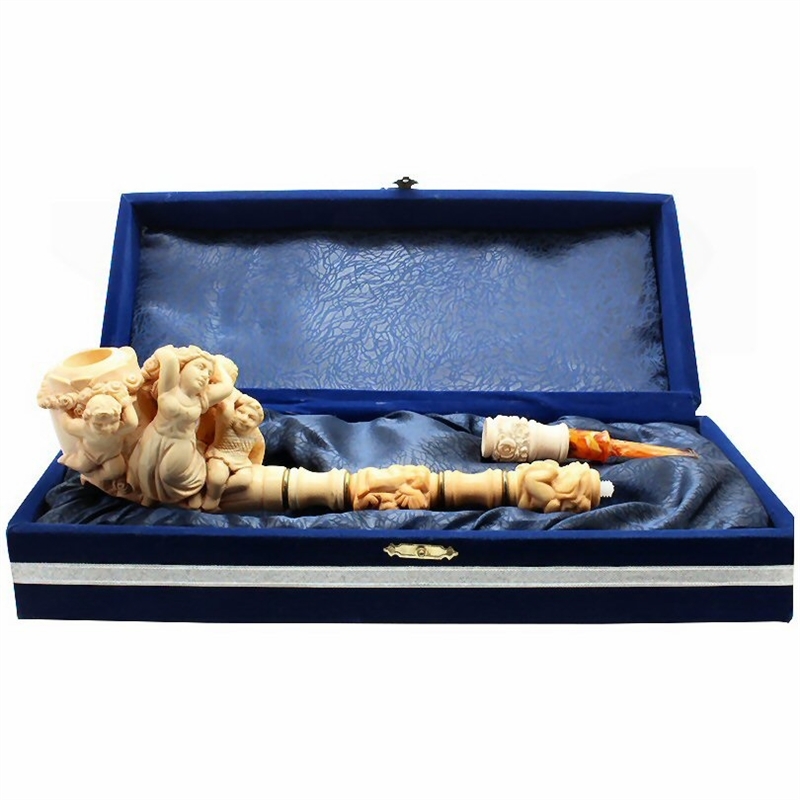 The pipe has a custom made blue velvet chest that protects it and holds the pipe to an exact fit. 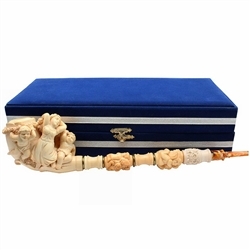 The chest is about 14 inches long by 6 inches wide and 3.5 inches tall.